The researchers began with a once-per-week pilot program to gauge interest and test feasibility, and found that both residents and staff liked it, which led them to expand it to a 10-week program that met for one-hour sessions three times per week. Each session focused on a different mobility skill: strength and flexibility through tai chi; aerobic fitness with games like soccer or skiing; and balance and coordination with a game called "20,000 Leaks," which requires participants to use their hands, feet and other parts of the body to "plug" leaks in a virtual tank. 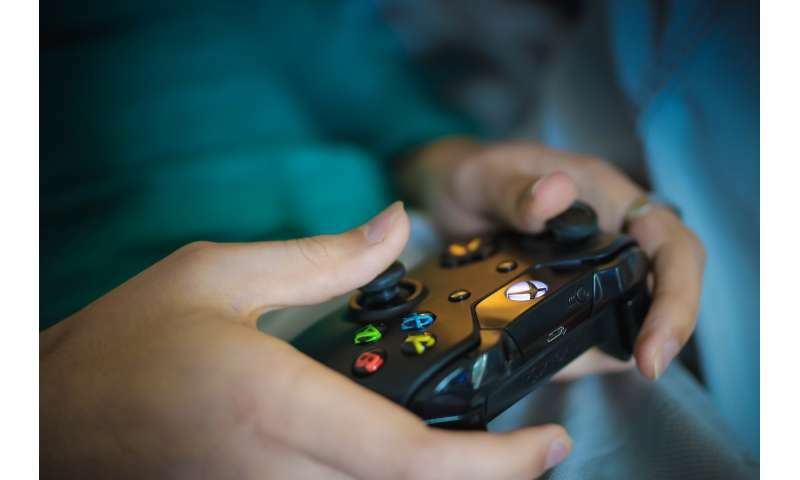 "The participants said it was a really nice thing to do – to come play video games at the end of a long day of going to psychotherapy," says Leutwyler. "We weren't expecting it because [people with schizophrenia] tend to be more socially isolated. Instead they were really supportive of each other, but they also were competitive – they wanted to see their scores go up." "In focus groups, [participants] have been telling us they feel more engaged in their health and that it's easier to get around and do daily activities," says Leutwyler. "They even tell us they notice others in the group having an easier time doing chores around the house." The pilot project was designed to show the efficacy of the program, and Leutwyler and her co-investigators have submitted a journal article outlining the findings and discussing how similar programs could be implemented in similar settings. She hopes it will pave the way for more funding to further explore the program's possibilities and to expand it to more facilities. Leutwyler's interest in the health of people with serious mental illness began when, as a new family nurse practitioner, she was providing primary care to people living in a locked mental health facility. "I noticed that all my patients' physical health was very poor, but that the older adults had the most health issues and the most difficulty trying to be healthier," she says. "Prescribing meds and talking with them one-on-one wasn't going to make the impact I wanted." After joining the UCSF faculty in 2009, Leutwyler continued to study older people with schizophrenia. "I really wanted to understand the relationship between their neurocognition, the symptoms of their mental illness and how it impacted their physical health." She began to think about how exercise and improved mobility could not only mitigate health problems, but also improve their mental health. That's part of why, as she continues to pursue her work, Leutwyler left the game systems at one of the pilot sites, where residents have continued to play the games. She doesn't think simply putting an Xbox in a mental health facility is a panacea for improving the physical health of residents, but offering a simple, facilitated program might be a cost-effective start.